Would you like one of the secrets as to how we find unique property – location skills that might help you too? For better or worse, lots of these government owned properties are being sold off due to austerity and cutbacks. Having seen fine buildings become derelict, I believe it behoves many of us to bring them back to meaningful and useful life. For this edition of Unique Property Bulletin we have a treat that will be news to quite a few of our readers. A dry read, but for property aficionados, the big red book is a mouthwatering index of interesting places to buy if, or rather when austerity nudges them onto the for sale list. We hope this helps spread the word amongst like minded folk, such as our readers. Many of whom are just itching to buy an old, closed government building and restore it. 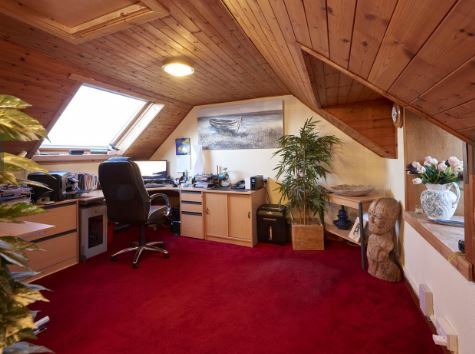 Possibly to an unusual home, perhaps to an interesting hotel, or even a bit of both, a commercial premises for you to run an internet site from, with a house next door to live in. From all over the UK- London, Manchester, Edinburgh, Cardiff, Belfast, Cornwall, Kent, Wales. Everywhere! This initial example we have here is something distilled from the pages of the great big red book. In the year 2012 this large area of land and buildings, replete with accommodation block…. 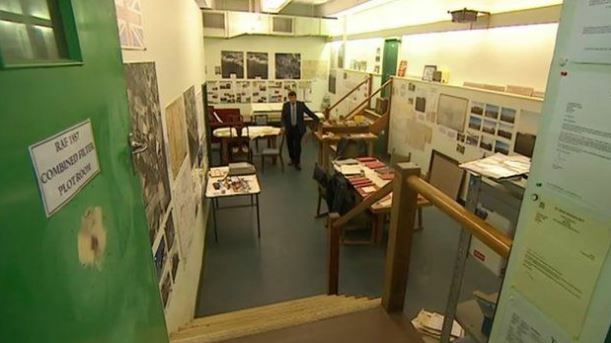 … was sold for £19,000. Yes you read that correctly: nineteen thousand pounds. Okay this was remote north, but many readers are looking for a place of sanctuary far from the madding crowd. 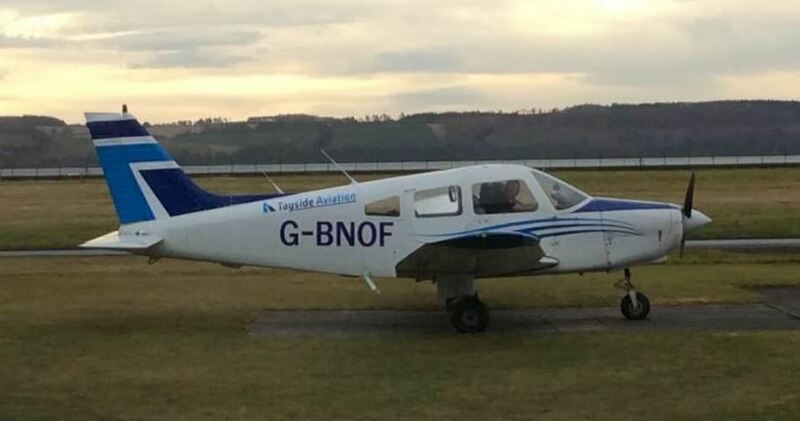 At £19,000 for the buildings, you can actually consider purchasing your own transport and get a pilot included to give you flying lessons until you pass the private pilots licence exam (click here). 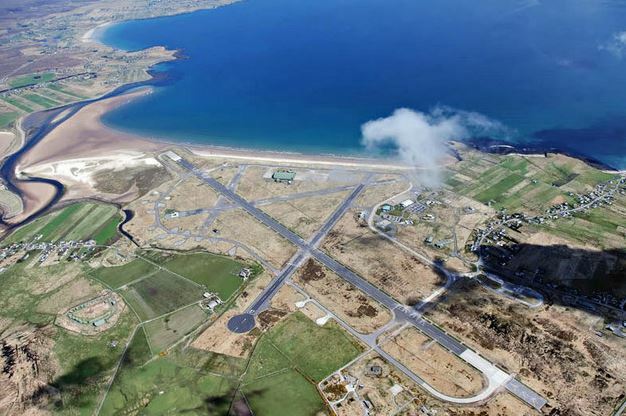 Many flying clubs have a great deal of fun, but I’ve always noticed some are a little light on having a good destination for flying to – so how about buying your own runway and airport home! IMHO forget paying £300,000+ for a pokey little one bed flat in the city. Instead, consider buying something exotic (Saxa Vord at £19,000) and purchase a plane with just some of what you save in big city prices by living at your own beautiful and fabulously remote MoD air base. If in doubt, have a chat with your local flying club. I’ve always found the aircraft set a great bunch to socialise with – tons of enthusiasm and a lot of love for flying (here). We are just adding some flight destinations into the mix. From the big book of national assets, we’ve seen other parts of the UK hundreds of miles from Saxa Vord go for similarly low prices. 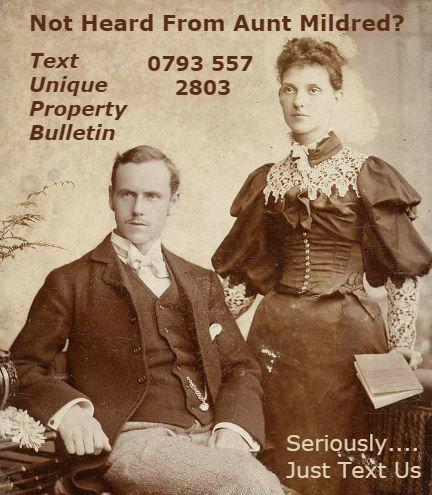 In this edition, the Unique Property Bulletin is delighted to give readers the heads-up. 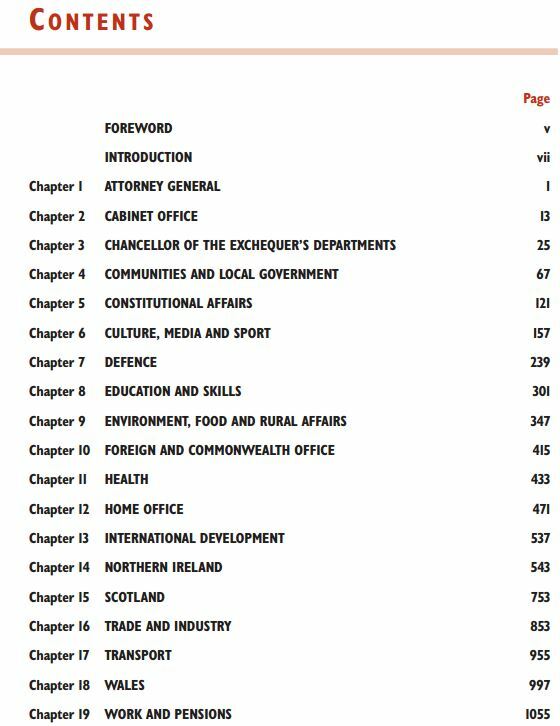 That big red book, crammed with 1,000 pages of government buildings was originally priced at £72.50. We know, we bought a copy and it was incredibly good value for money. National Asset Register is free to access online. We start this Bulletin with a cheap and cheerful pair of old barns for renovation. A thank you to Andy for sending these into share with folk who are looking to buy a barn. Planning permission has been granted to convert this pair of old barns into three homes.. Application numbers: 06/1478/10 &12/1165/15 allows the existing barn 1 to be changed into two dwellings and barn 2 into one single dwelling. The planning allows for conversion and associated parking. This development project is located on the outskirts of the historic town of Pontypridd and is accessed via a modern housing estate in Cilfynydd. Location: The Old Barns, Albion Court, Cilfynydd, Pontypridd CF37 4JA. Guide: £65,000. For both barns as one option. Alternatively just one barn can be bought for a lesser amount. Contact Allen & Harris – Tel: 01443 237667. 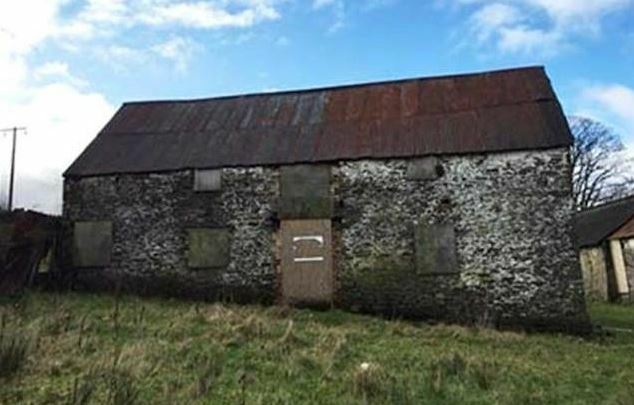 Please can folk let the estate agent know you found this old barn for sale in the Unique Property Bulletin. Thank you. 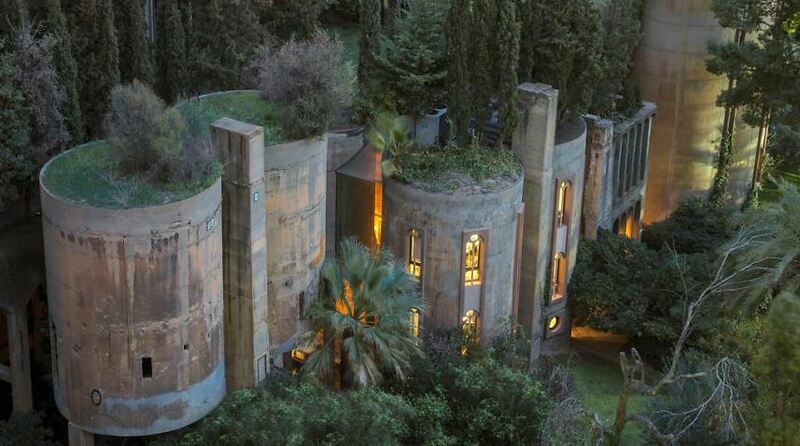 Somewhere, someone, perhaps you, will soon have an amazing adventure with this water tower building. A little bit of the Shakespeare balcony and romance in store. At first sight this is an interesting project. Then your eyes gravitate to the price guide of £190,000 – several folk will tune out, but wait a moment. What if we advised it had been for sale at auction previously for £60,000. Are you curious? We haven’t seen that much change that can merit a whopping £130,000 increase. Yes it is seven years of capital appreciation, but is this Wonga Water that are selling the place at hyper inflated prices? 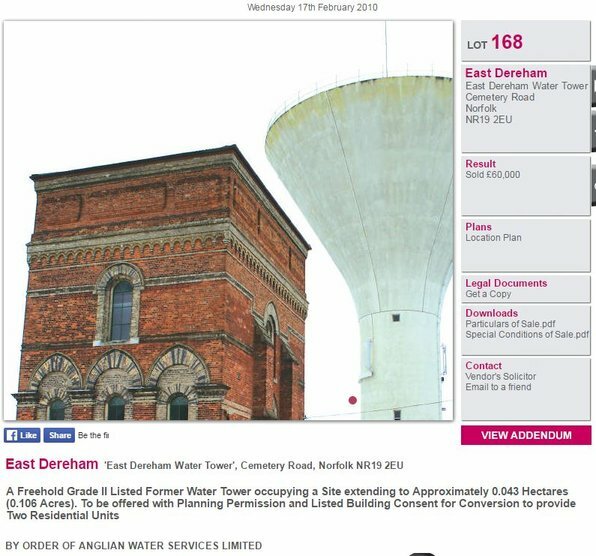 17 Feb 2010 – this square water tower was listed for £60,000 for sale direct from Anglian Water Services Ltd – Click Here. 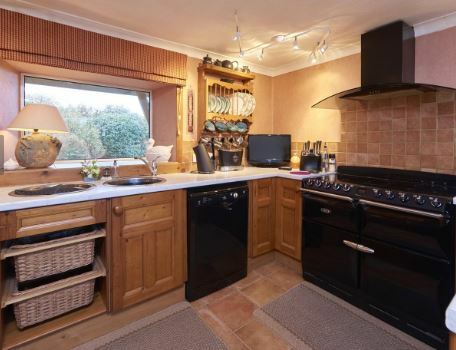 11 Feb 2011 – listed with Rightmove for £80,000: Click Here. 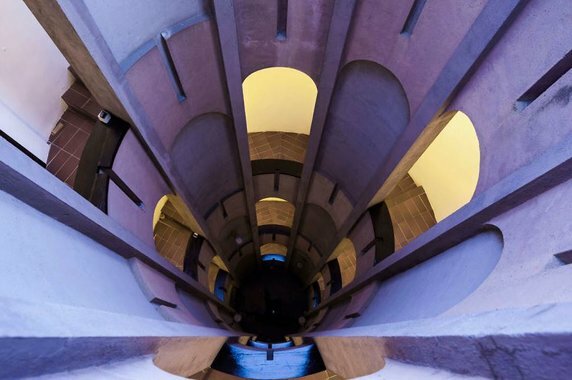 It is all very well relying on solicitors and architects for wise counsel, but that does not abrogate any of us who buy these unusual places from doing our own homework. Plus it might save us a few grand. Please don’t barge in saying: but you only paid…. We had one reader who was quite offended by this approach when a brash young man waved an extract from a web search facility showing what she had paid for her house 10 years earlier. It cost him a deal. Delicately does it on the negotiation front. Agency Narrative: Grade II Listed Victorian Water Tower – the square brick built structure (not the white UFO looking thingy). Planning Permission to convert to a residential dwelling. 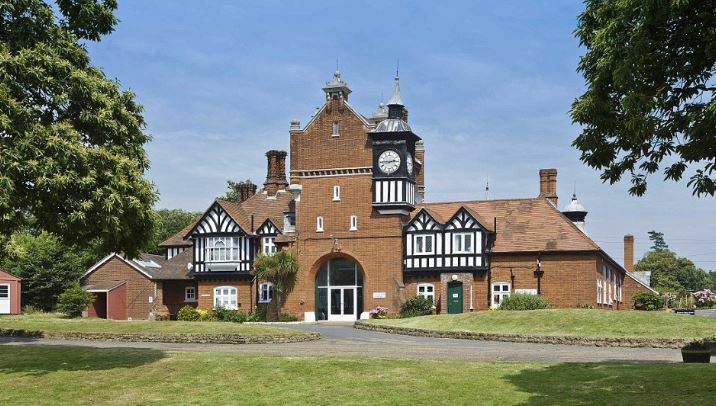 Built around 1881 with plans for an exceptional dwelling. Four storeys. 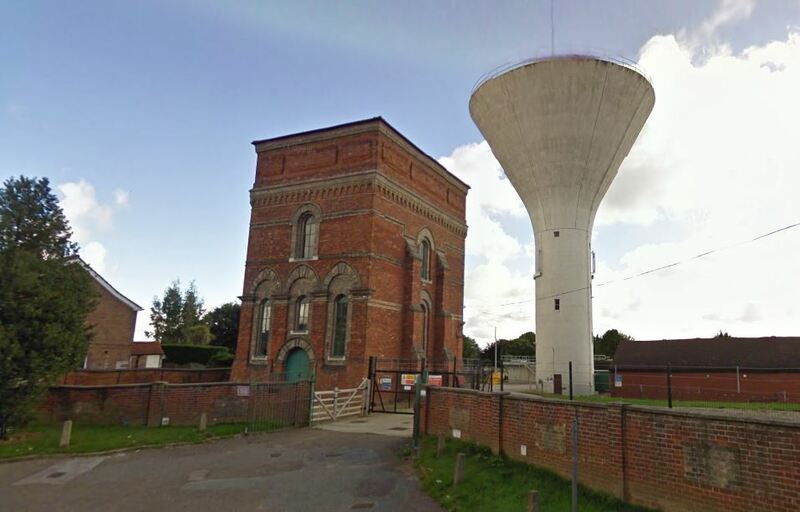 One of only two surviving water towers of its type in Norfolk, it has long stood unused and has been decommissioned. March 2017 Guide: £190,000 – Do some research, it might save you tens of thousands of pounds. Email is great, but we have discovered between 5% to 10% are going astray in spam folders. Or worse – ending up at the lost property office for the vast webworld. All very well if you are sending a random picture of Aunt Mildred at her wedding in 1892. Spammed Emails: Not so good if your next home depends on good communications. We aim to have our email replies out within 4 to 8 hours of receipt, but as the Bulletin is run entirely by volunteers, we cannot guarantee that our regular rummage in the spam folder for lost messages will find the ones that do get lost in the internet ectoplasm. 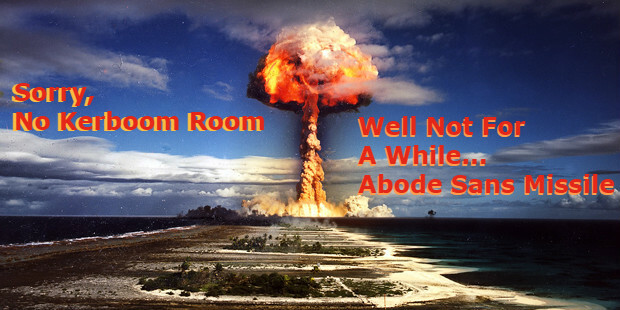 So if you don’t get a reply, we are not being rude – the email system is just creaking. A bit like Aunt Mildred! If in doubt, send us a text with your email address and we will get on the case. Thanks. 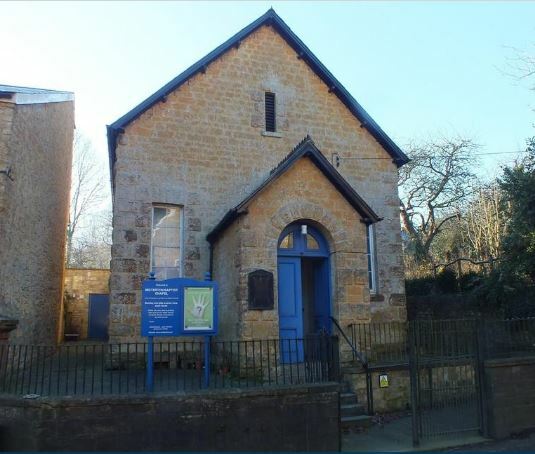 This is a small but nicely formed former Baptist Chapel dating from around 1876. 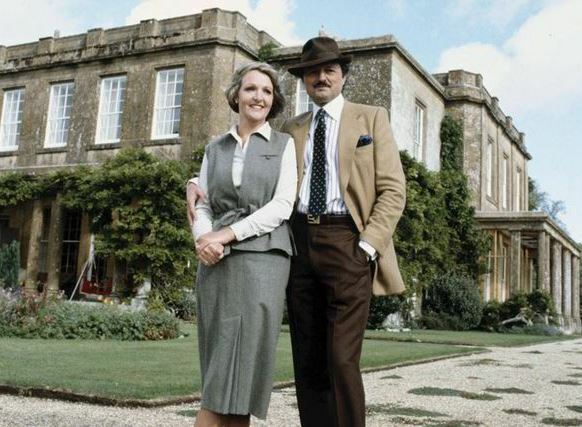 It is located on the pretty village of Misterton in Somerset. 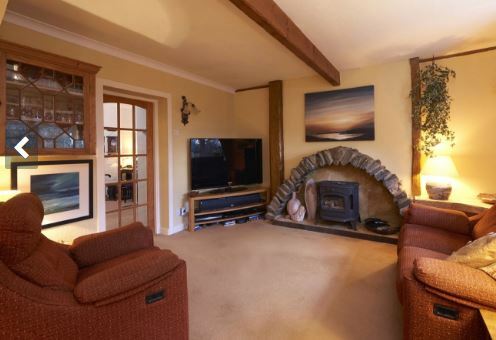 The detached property is of traditional construction with stone elevations having brick dressings under a pitched slated roof. To the rear is a modern extension providing ancillary accommodation. 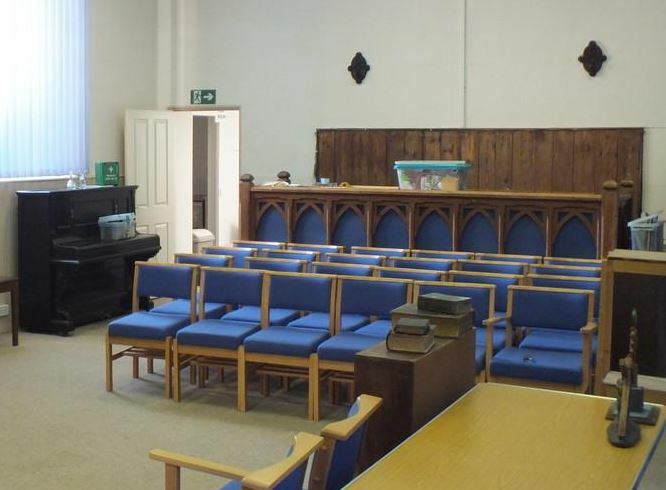 Address: The Old Chapel, Middle Street, Hillview, Misterton, Crewkerne, Somerset, TA18 8LZ. Contact Perry Bishop & Chambers – Tel: 01285 367132. Please can folk let the owner/agent know you found this old church for sale in the Unique Property Bulletin. If you have any unique ideas in this direction and would like to share them, please get in touch: click here. Old Loo Purchase & Refurbs – What Do You Do? Between 1998 and 2007 we ran 18 unique property clubs. Then came the banking crisis so after a chat amongst the members we took a sabbatical. The one year pause became two then three! A few of us did soldier on until 2010, but this austerity malarky has been a major drag on unique property club outings. 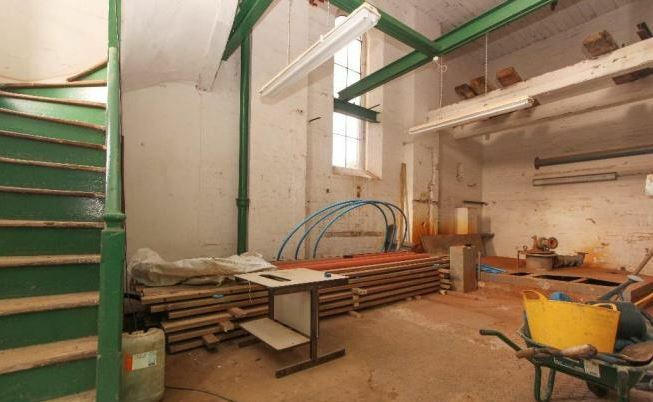 The small WC building Unique Property Club 20 has just bought is probably the most challenging project to find a good up-cycled use for. Really! What on earth can you do with an old crapper! 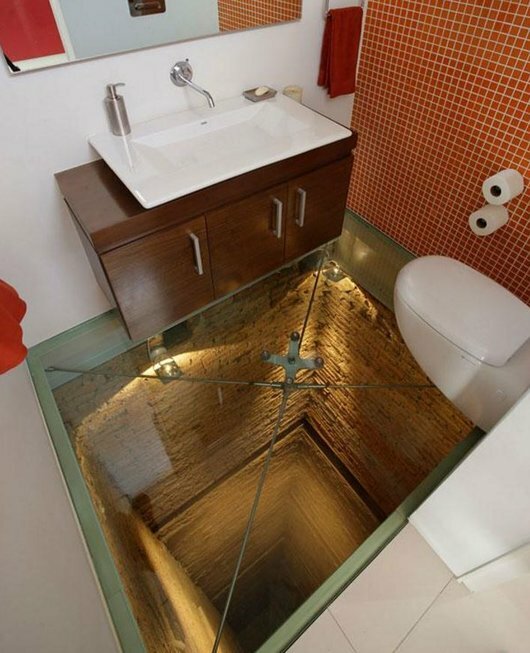 The genius person who is in our top ten top architects, Laura Jane Clark gave her loo a heroic shot (here). 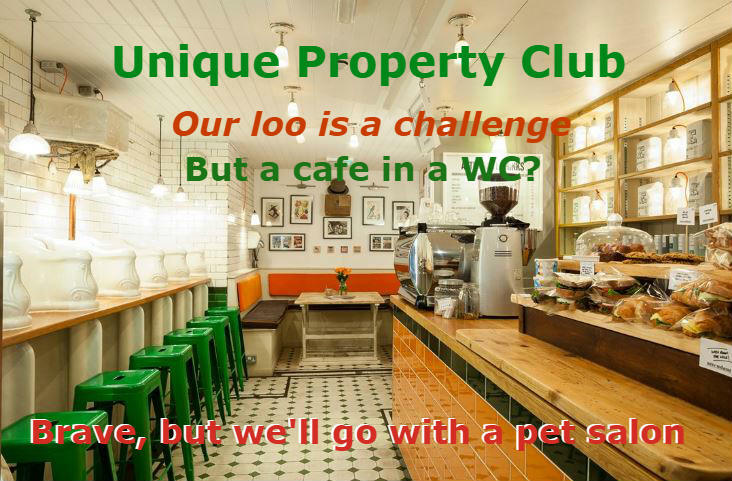 We will of course share the adventures of the next property club project with readers in the weeks and months to come. Ours is a relatively small building, but has really helped us overcome some big obstacles for rebooting the unique property clubs – to sort out all of the legal protocols and compliance paperwork now required to have future property adventures function properly. 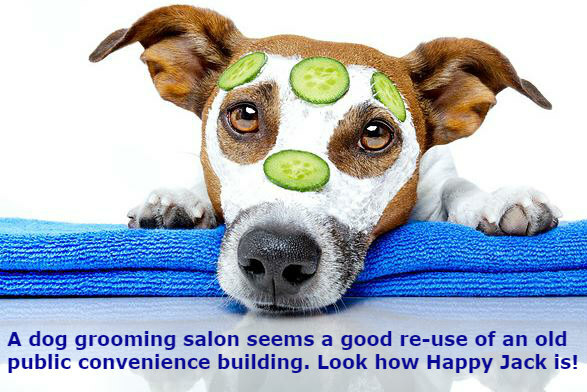 The old loo is likely to become a dog grooming salon. Seems more fitting than sipping a latte at a gent’s ceramic urinal as pictured above. Although fair play to the team who refurbished the old underground loo into an eatery. The publicity they garnered was very good. Also the food is apparently top notch too (click here). We will let folk know how our own version of a Sir Thomas Crapper project pans out. 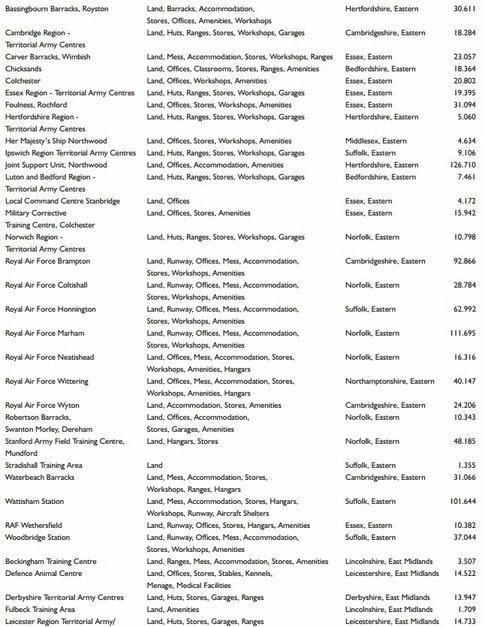 Total Inbound funds: £121,000. 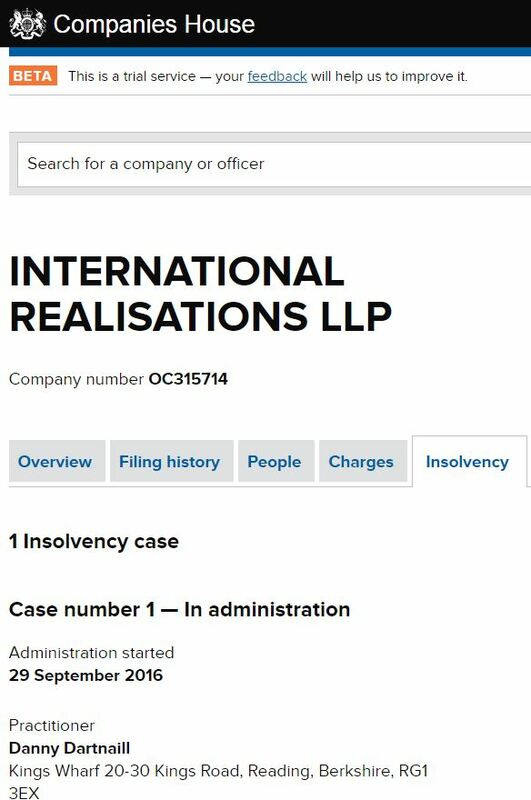 Gross Profit: £61,000. So with great excitement we can advise our offer for the next lighthouse compound has been accepted. There is still a little room left in this one for members wishing to join in. Also, as always we have a “first reserve” list. 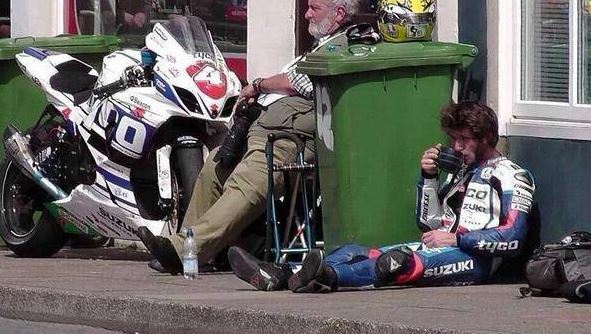 That is where folk go on standby in case anyone drops out. Well worth being on standby as we often have a gap opening up between folk reserving a spot on any given property club outing, and the actual point where we all send the funds into the solicitor. By the way, whilst on that topic, please can new property club members NOT send us any money or cheques. ALL funds are handled by the solicitors. Between 1998 and 2007 it used to be a good principle of best practice for our unique property clubs – now it’s the law! 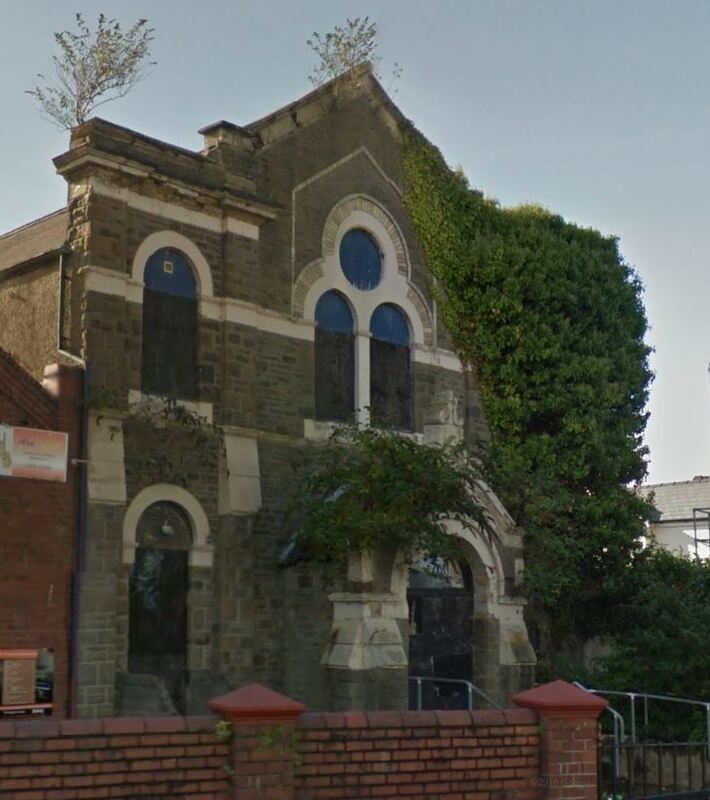 A big thank you to Andy for sharing this property with our readers, A former Baptist Church being with planning permission to convert into five one-bedroom self-contained residential apartments although alternative schemes and uses may be considered, subject to all necessary consents being obtainable. Contact Clive Emson Auctioneers – Tel: 01392 366555. 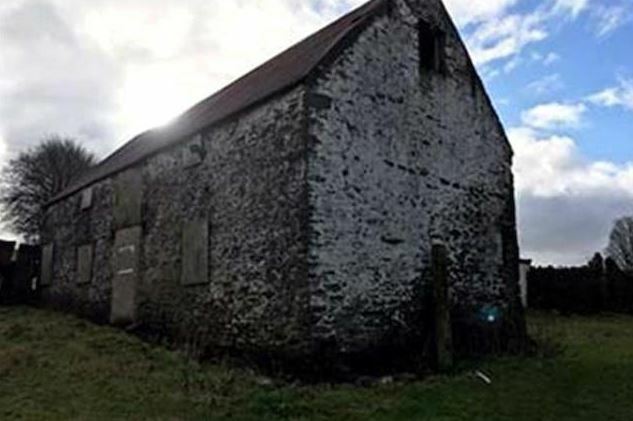 Please can folk let the auctioneer know you found this old church for sale in the Unique Property Bulletin. Thanks. Especially useful for locating extra unique properties in your local area, and/or the place you are seeking to live. 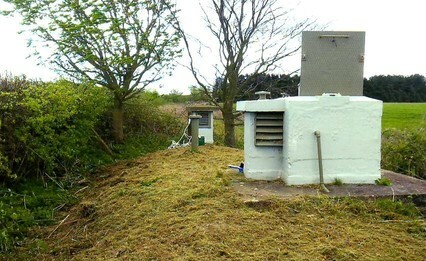 Two UKWMO Bunkers coming up for sale imminently – well as soon as we can muster. Typical UKWMO Bunker Surface Entrance. Easy to miss. It’s just a concrete box with a steel lid on top. But what lurks beneath? 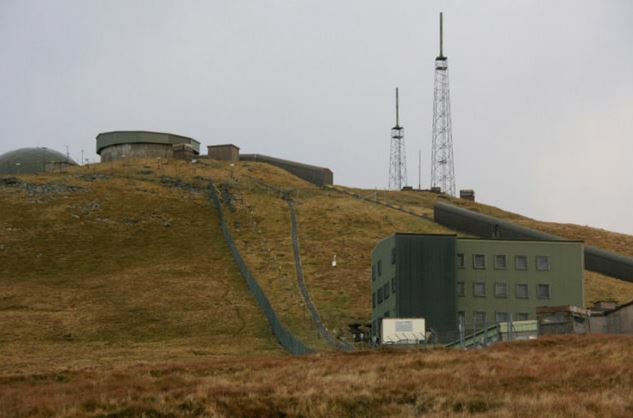 The last edition of Unique Property Bulletin we advised of a reader who has asked us to help him sell two UKWMO Bunkers that he owns. We were a little premature in the announcement of more UKWMO bunkers for sale. The owner is still sorting out photographs etc. When we get the details to share, they will be posted in the Bulletin without delay. Several hundred of these were built by the government (example list click here). As time goes by and many are filled in by farmers etc., and the value is going up. 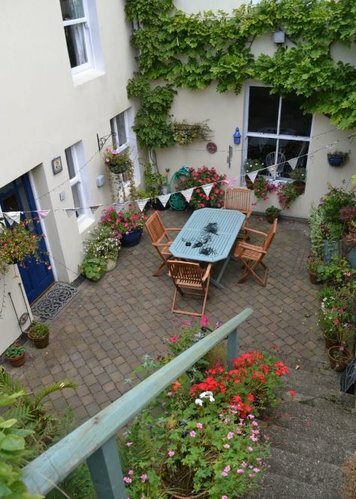 But even the plain façade here has something unique about it in the quarter acre back garden…. 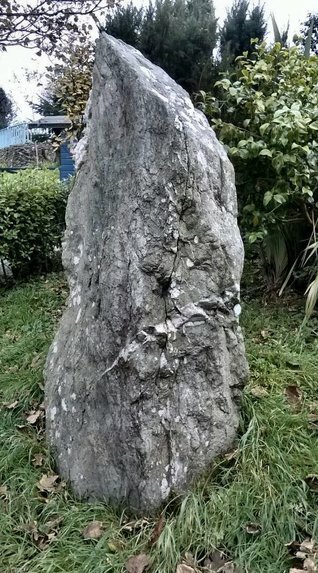 This standing stone in the back garden is legendary and reputed to have been the furthest-thrown giant’s quoiting stone that landed on Cronk Skibylt. For local folk, the quoiting stone is nothing more than an animal scratching post, for irritant cattle on a midsummer’s day. But when delving into Manx history the stone has more relevance. It exudes magic and mystery by repute. Dating from the Bronze Age, about 3000 years ago. As legends and myths go, the story reveals that the stones were once at the bottom of Mount Barrule at the foot of a giant’s cave! These stones were believed t be playthings for the giants of Mann! 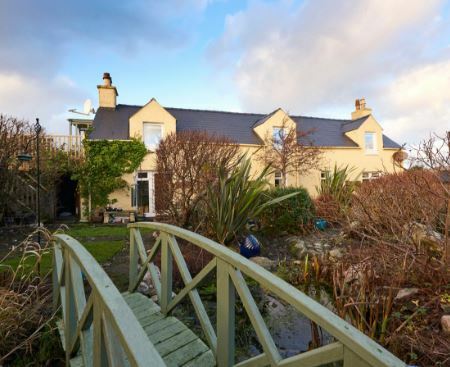 All in all, there is quite a package to do, see, and enjoy about this Manx island home. Contact Harmony Homes – Tel: 01624 835252. 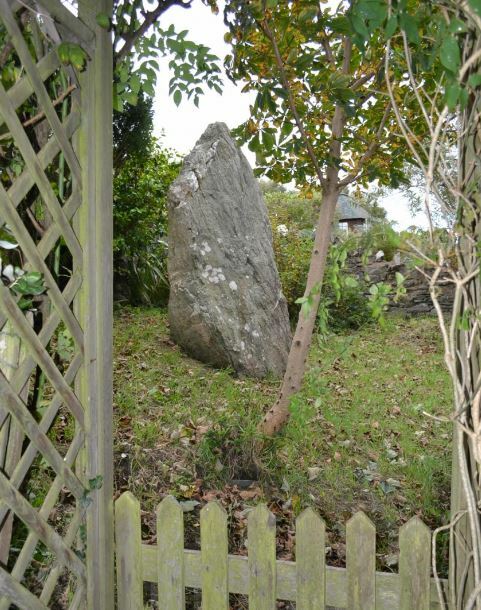 Please can folk let the owner/agent know you found this island standing stone + home for sale in the Unique Property Bulletin. This helps us help you. A Bulletin reader sent this small island property to share. It’s more the location and unique crossing that caught our eye. So of the dozens of nominated properties each month, and the fact we have a finite amount of space in each edition, this one has been included for the unusual place where the new owner would live. That and a rather interesting lifestyle. As to Star Wars and Sith Lords? Not so much. Just the name of the place. But it does have that ring about it. Also, it might seem like another galaxy away in terms of distance. The Closest You’ll Get Is Star Gazing. No Stellar Wars. This is ideal for someone who loves boats. 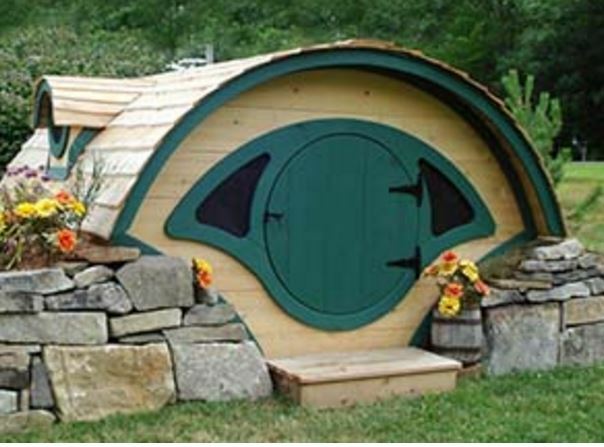 Agency Narrative: Detached Home with 3 Bedrooms and 2 Reception Rooms Tranquil island location Panoramic sea views. About 0.6 hectares (about 1.48 acres) in all. 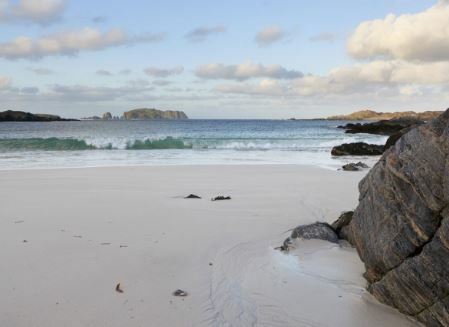 Situated across a sheltered lagoon on Great Bernera; part of the Outer Hebridean Island of Lewis. Tigh Na Sith enjoys a genuinely idyllic setting. The house dates from about 1910. 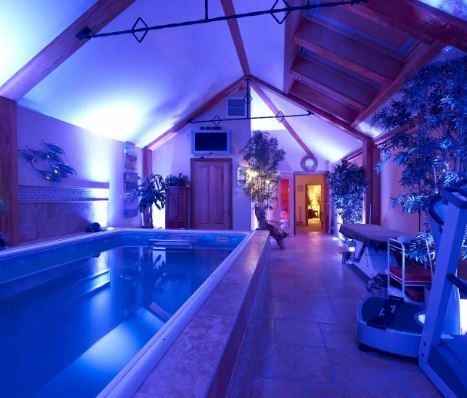 It has been extended by the current owners to provide very comfortable, contemporary accommodation including a delightful spa style relaxation suite with indoor pool and sauna. There is a modern kitchen and refurbished bathroom and shower room. 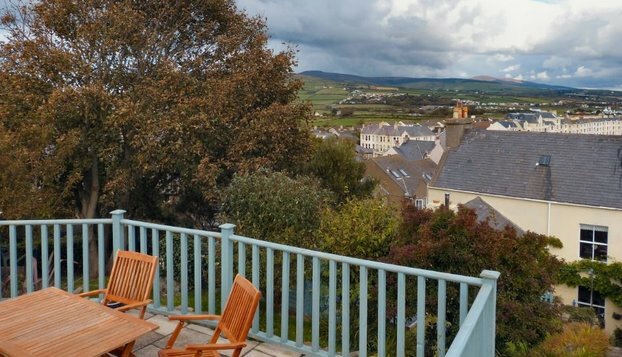 The property is surrounded by very pretty garden grounds and from the first floor is access to a large deck with panoramic views of the Atlantic. In addition to Tigh Na Sith, the option exists to purchase additional land by separate negotiation. 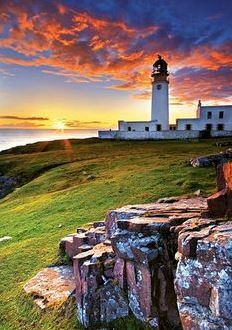 Adjoining the Island of Harris to the South, Lewis is the largest of the Western Isles and home to the highest number of inhabitants. 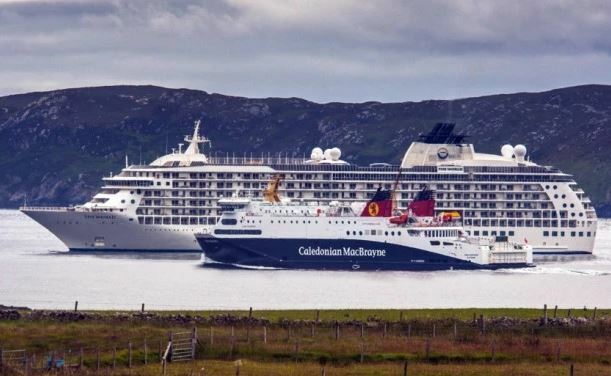 The town of Stornoway, the largest town in the Hebrides, has a population of approximately 8,000. 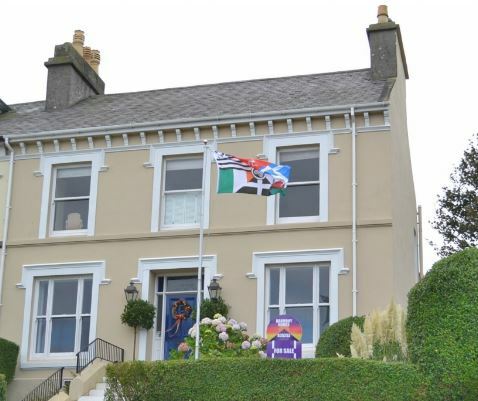 Stornoway is also home to the island highly acclaimed secondary school, there are also primary schools, a university and hospital, as well as a wide range of shops, cafés and restaurants. The relatively flat but varied landscape with it s sandy beaches, machair and peat moorland, makes Lewis a popular destination for visitors. 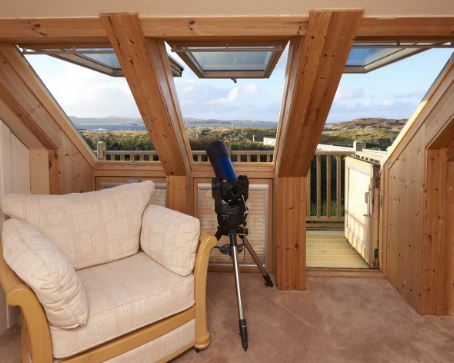 It is also a haven for bird watchers and wildlife enthusiasts who enjoy the vast array of seabirds as well as otters deer and eagles. 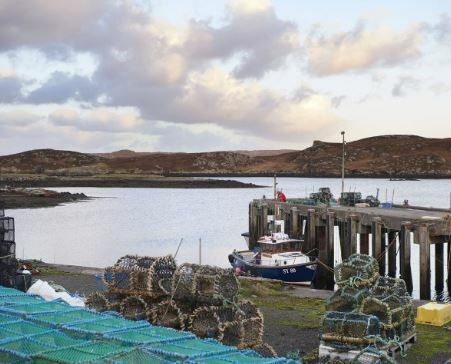 Other attractions include museums, art venues and a brewery, as well as famous local delicacies including Stornoway black pudding, kippers and smoked salmon. 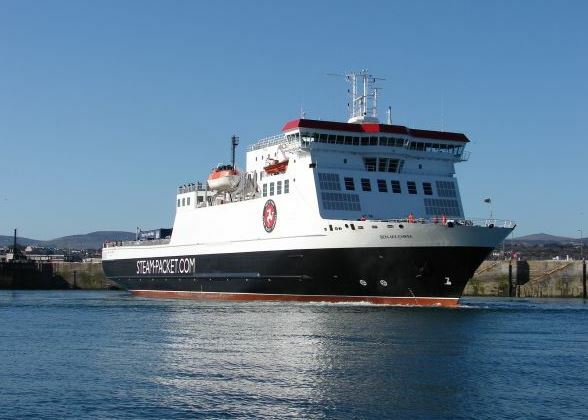 Lewis also benefits from regular flights from the island’s airport to Inverness and Glasgow and ferry services through Caledonian MacBrayne which now include Sunday sailings. Contact CKD Galbraith – Tel: 01463 224343. 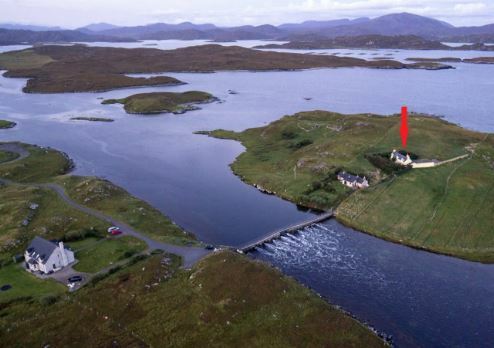 Please can folk let the owner/agent know you found this small island home for sale in the Unique Property Bulletin. Just for fun, here is an offering from one of our shorter readers. 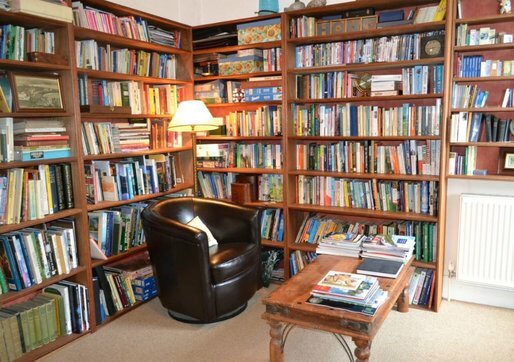 Estimated at about £4,000 and, subject to planning (if needed: click here) this might well prove to be a wonderful place to write up a new novel you have in you. Do you have an old oak tree to create something sublime, such as this? 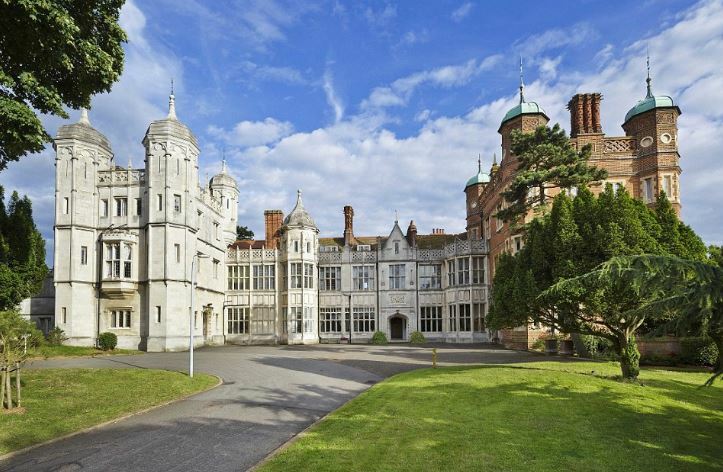 Our friend Amanda from London sent this property link in to share with readers of Unique Property Bulletin. A first sight I thought maybe it was in Canada, perhaps even France. Or the glorious Lake District and Cumbria. But no. Upon closer examination, it is a couple of hours from Bulletin HQ. In fact we’ve driven past it when our old office was located in Argyll! So this is definitely on the “to visit” list. 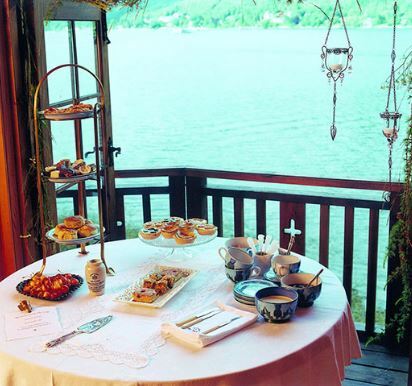 Treehouse Balcony – High Tea – Literally. Plus Mesmerising Views Over The Water. This is a millennia away from roughing it as a kid in the old rickety thing that Dad built. This fine example is actually a treehouse favoured by newly weds for their stay at the Lodge on Loch Goil, Argyll, PA24 8AE. Creature Comforts – Thought Perhaps A Log Fire Is Out of The Question. 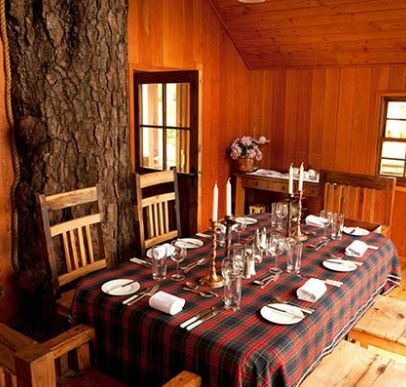 There is room for guests to visit with you up in the tree branches. Might just be worth making a visit and staying at the Lodge for a nice weekend to gain a powerful piece of inspiration from this exquisite and finely detailed treehouse. 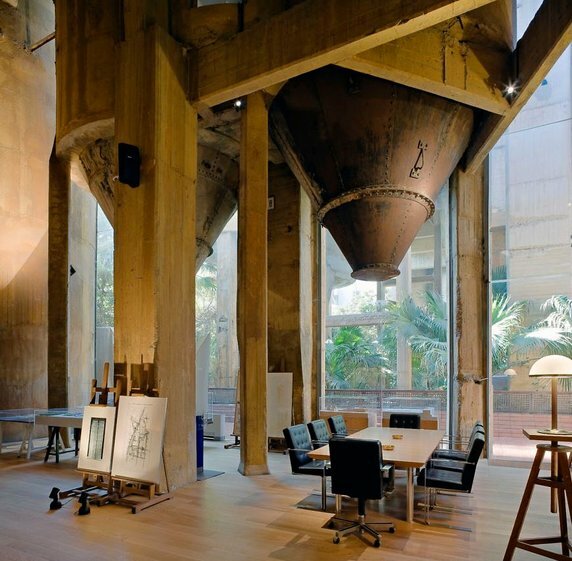 In 1973, Ricardo Bofill came across an old cement factory. His professional mind was immediately engaged and La Fábrica was started. 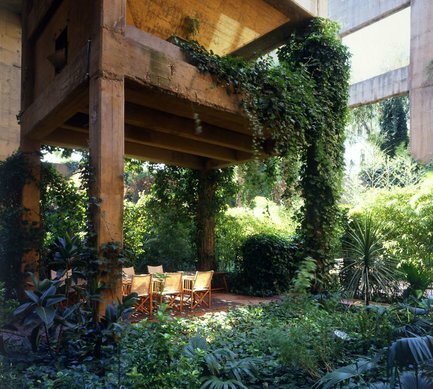 Now, 44 years later, the vast building has been completely transformed into remarkable unique home. The wonderful series of amazing photographs on the Bored Panda website have garnered 4,700,000 views. This gives some gravitas to the incredible work and love of his profession instilled into what, by any other measure, was just an old utility building. 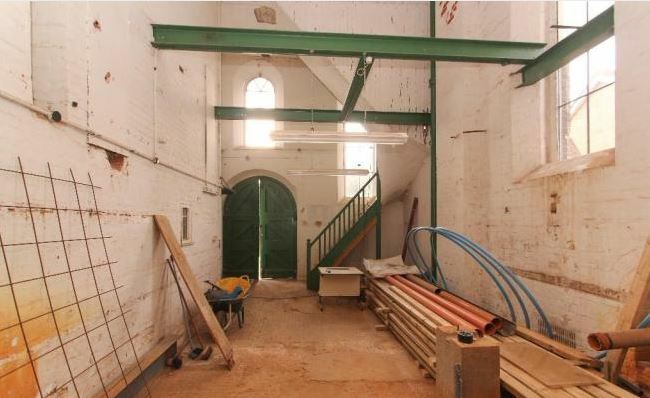 There is hope in this work for any and many who have a good imagination and enjoy finding new life for old properties.. The Big Book of UK Property. Many Buildings Now For Sale. (c) HMSO. Reproduced Under Government PSI Licence C2010002126. Our hope is that for you, this edition of Unique Property Bulletin gives something interesting to get your property locating skills into. Either in your area, or at a location where you would like to live. With the government’s National Asset Register (NAR) there is a very detailed analysis and index of UK buildings. 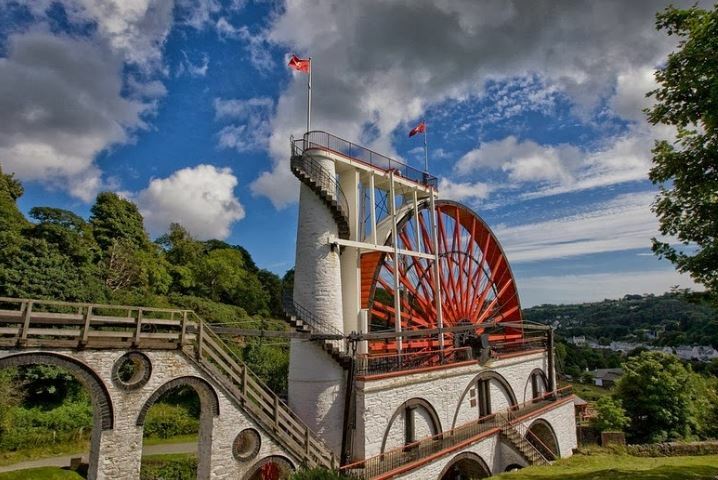 These range right across government departments with a vast array – Agriculture & Fisheries (waterside assets); Culture, Media & Sport (tourist offices); Lord Chancellors Dept (HM Court buildings – active disposals 2017). In all there are 17 chapters in this major book with 546 pages. The online version has 19 chapters and 1,100 pages and was £120. Now it is free and online. For this article we can but concentrate on fraction of the book’s content; so the MoD section stood out and that is the core of our narrative and illustration below. With the ubiquitous austerity many unique buildings are being sold off. 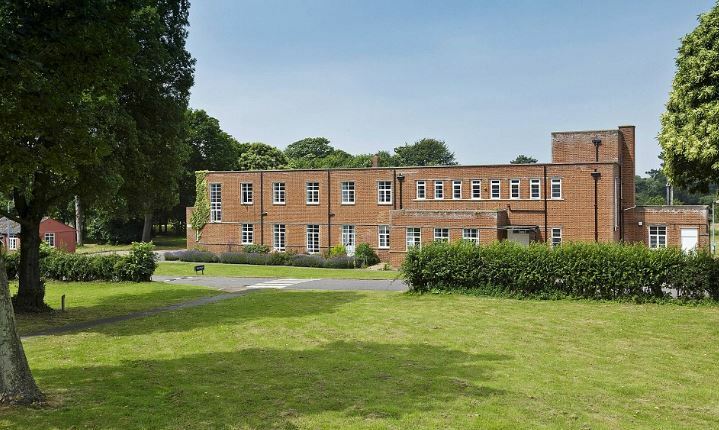 The size of some NAR MoD buildings/estates may seem overwhelming and you might think they carry a million pound price tag and several acres, but we suggest, based on evidence, there are some interesting bargains to be bought. 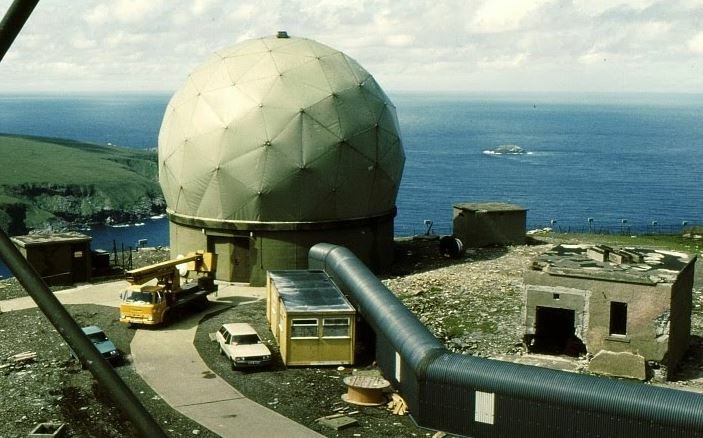 One example that we salivated over for a while was a Radome and related radar RAF crew accommodation buildings – a whole MoD Base was sold for £19,000. As an asides, if this actual set of buildings interests you, why not contact the current owners. A helpful guide to do this can be found in our Manual (click here). The other side of the country was another MoD base. 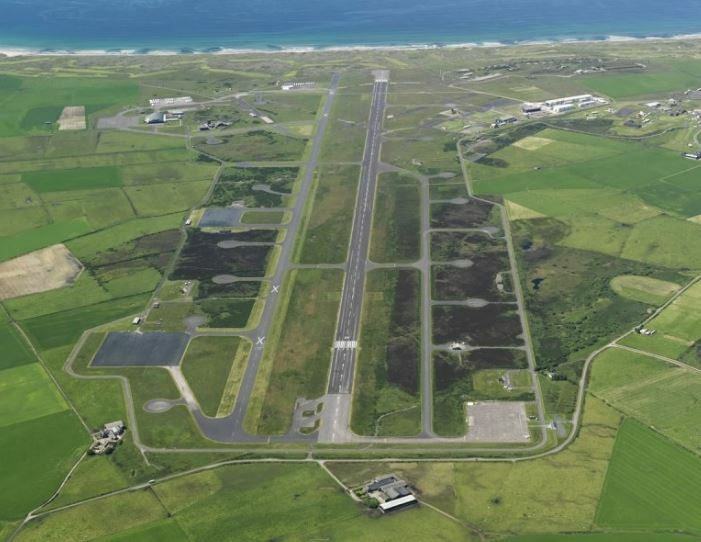 For a time this had the second longest runway in Europe. Indeed it is still used as a backup for transatlantic airliners such as 747 jumbo jets. Recently the place has been mooted for a space port landing facility. Yet it was sold for £1 – yes that’s correct, just ONE POUND. 2] will there be anymore like that? For the answer to question one, you don’t get off that easily. We will let you have some fun finding out how a massive base gets sold for £1. As to the second question on other bargains? 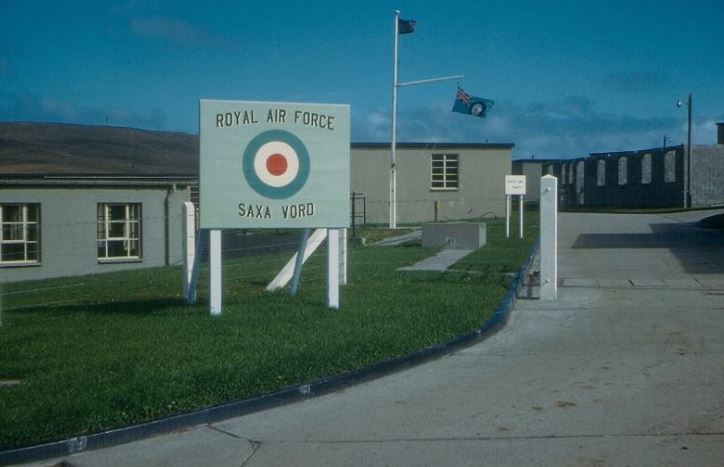 We can’t guarantee that there will be any bargain pound sales, but we reckon there will be other RAF Saxa Vords. There is a rumour about something interesting in the Devon area. 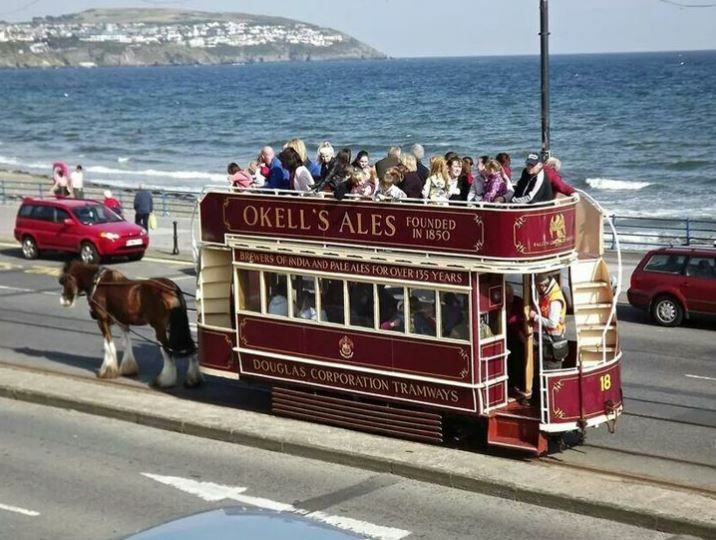 It was reportedly sold in 2012, back up for auction in 2014 and then went quiet! With over 1,000 pages of government buildings there must surely be something close to you that will be of interest? 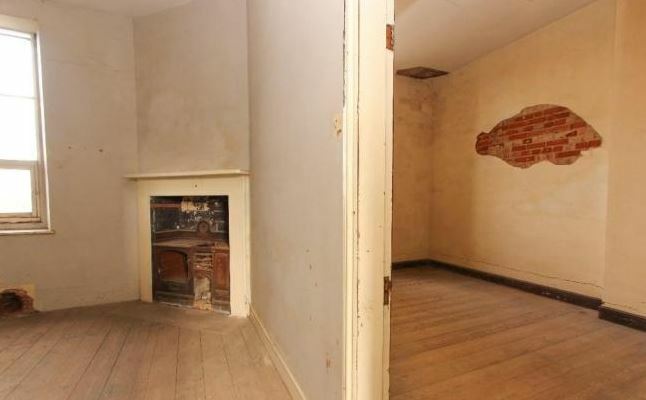 Massive Underground Maze of Rooms – Will It Be For Sale Again? You might have some fun following this one to see if the current owner would sell again? 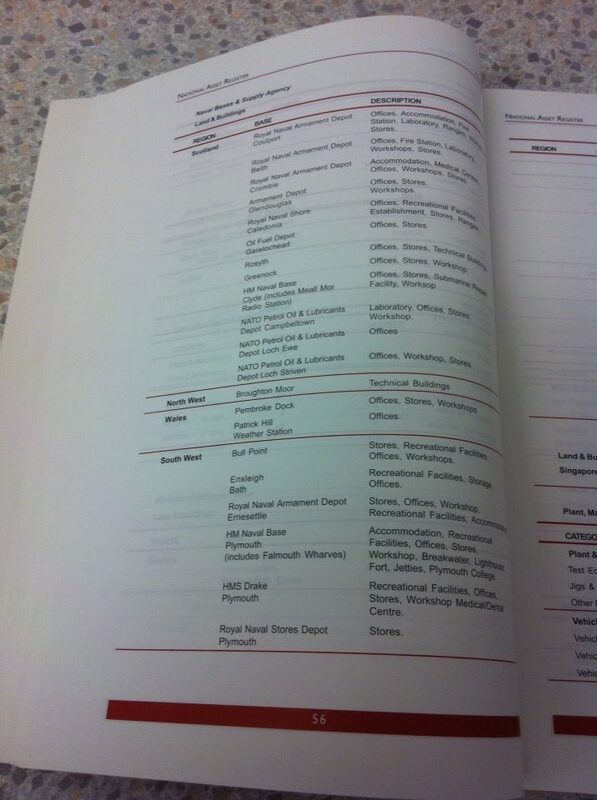 The National Asset Register has a vast list of buildings and leads. But more than that…. The very important fact must be emphasised – that even when a State owned asset has been sold off, it can very well come back up for sale again. So we reiterate the value in contacting current owners (helpful smaller guide: click here). 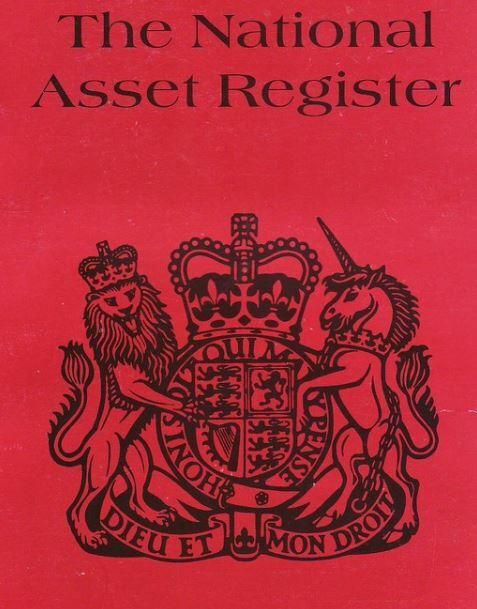 Early copies of the National Asset Register cost £72.50. It was a stonkingly big, telephone directory sized paper volume. A heavyweight read. Literally. Full of many buildings owned by the UK taxpayer, from the Palace of Westminster to Stonehenge. 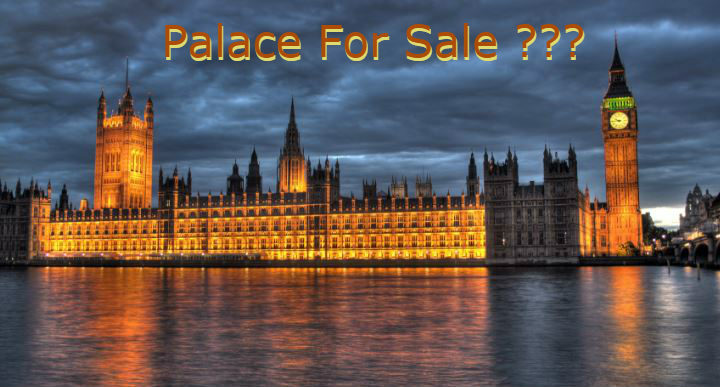 Westminster Palace – What Would It Sell For? We always struggle to list London buildings; so dynamic and fast moving is the property market within the M25 that when we do feature something, it is usually sold within 2 or 3 days of our publication going online! It maybe a redundant question to ask what the Palace of Westminster might sell for as it is unlikely the MPs and Lords will countenance a move to a purpose built parliament elsewhere. There is sound logic in reforming the Palace of Westminster. 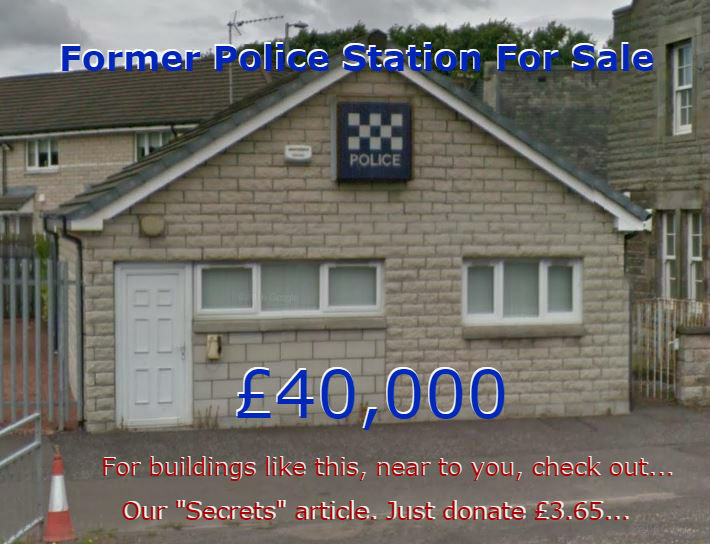 Instead of the taxpayer spending £7,500,000,000 to refurbish this building, why not sell it off for £2,000,000,000 and spend one billion building a new purpose built parliament elsewhere. By my arithmetic, the UK would be £8.5 billion pounds ahead. The Palace is Grade 1 Listed and a UNESCO world heritage site so wouldn’t be going anywhere near t a wrecking ball. Any renovation by the private sector would require to be managed to an exceedingly high standard. 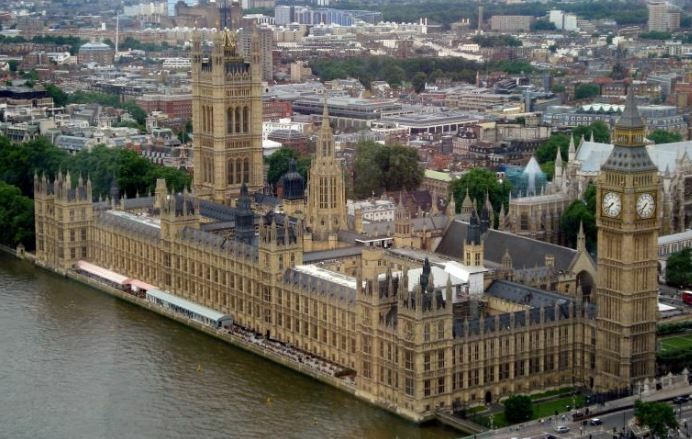 Houses of Parliament – A Large Chunk pf London Worth Billions? As an non political person I’ve no real skin in what happens to the Palace of Westminster, but after the fire of 1834, parliament was offered Buckingham Palace as an alternative site. This was declined and the new building which is such an iconic part of London was built on the old site. My point? Change happens. The governments of all colours have reformed just about everything else. So how about reforming this building? Reform it to an alternative site and save an austerity weary nation almost ten billion pounds! Digressed a bit there, but always have radar in tune to London, simply because the Bulletin struggles to find buildings in the capital that stay around for any duration. Not the usual idea of a military base! 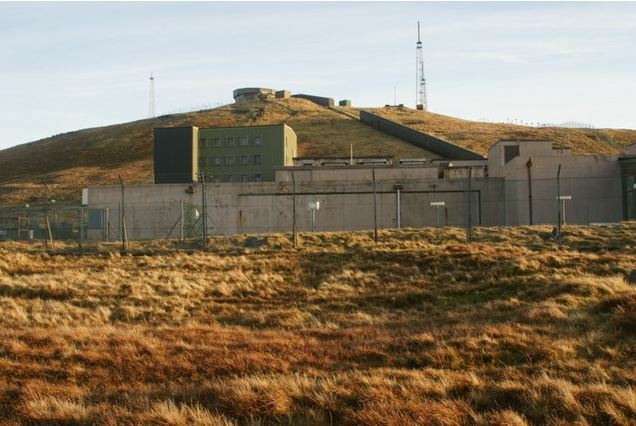 Sir Robert Watson-Watt pioneered the invention of radar in this building. This wonderful 142 acre estate with many buildings is close to our hearts. It was virtually the first main unique property syndicate outing we embarked upon. That was 22 years ago. 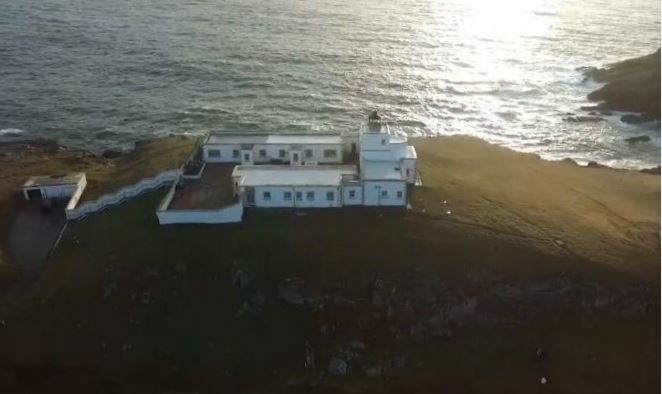 Our club members pulled enough in to bid for this historic and scenic coastal MoD estate, but we were pipped to the post by the current owner. This particular MoD base captivated the original members of our property-club all those years ago. There is enough to write a treatise on this place outwith the main content of this National Asset Register article. Indeed Gordon Kinsey did just that for RAF Bawdsey Manor (click here). 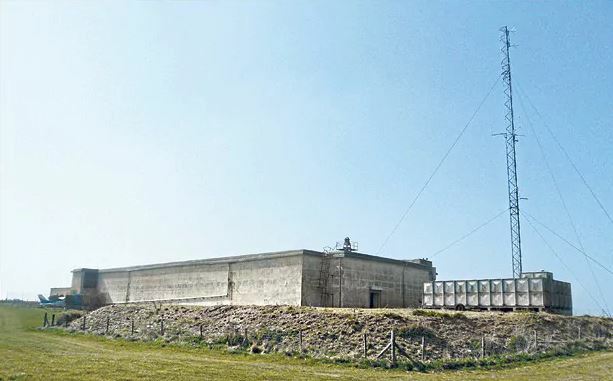 For those considering an MoD property we would recommend studying RAF Bawdsey as a good example on how these projects can work. 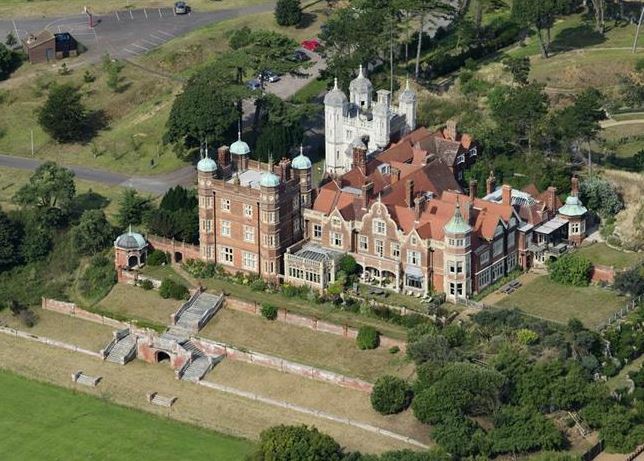 Of course the MoD facility at Bawdsey Manor was sold off to private hands many years before publication of the National Asset Register. Even so, our thesis still stands. There are many buildings like this in the big red book. All the properties above were owned by the government at some point our other. With the NAR you effectively have the source code to all that. The keys of the Kingdom. 1] Have a read through the free online National Asset Register yourself for you and your family. If you spot something interesting, research in more depth. Enjoy the process of finding an amazing place that you may end up buying. If you find anything interesting and buy it, please let us know how you get on (here). Good luck in your adventures of NARnia. Next Full Edition At 9pm, 2nd April 2017.